You are here:Home / Archive by category "culture"
Kimchi is already considered as an integral part of Korean identity. Koreans value kimchi so much that it does not come as a surprise anymore that there’s a specific ceremony dedicated to its preparation. Gimjang refers to the lengthy process of preparing kimchi, a tradition that stems from the old days when villagers and other people from communities would gather together to prepare kimchi just before wintertime comes. 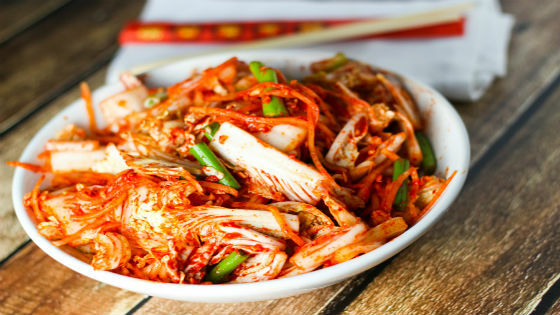 The vegetables back then that are needed to prepare kimchi are seasonal and not really available year-round, so people always planned ahead in terms of gathering all the necessary ingredients so that the kimchi that they produced would last them throughout the entire winter season. 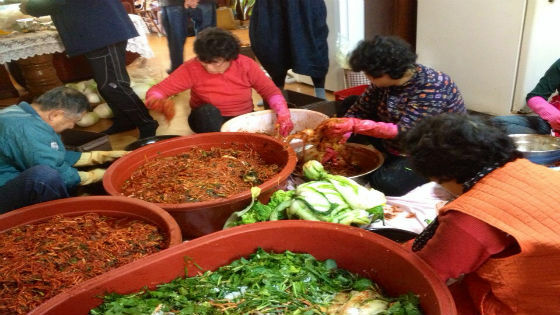 Although fresh vegetables and even kimchi itself are now cultivated to be made available all throughout the year, this still has not stopped Koreans from partaking in gimjang. One of the reasons why gimjang is celebrated is to highlight the hard work that the people who are involved in the process invest in producing the best-tasting kimchi. Gathering all the required ingredients is tough, but ensuring that the proportion of each ingredient is just right is even more challenging. We are not even mentioning here the possibility that the weather might not cooperate. Anyway, kimchi’s usual ingredients of cabbage, radish, mustard leaves, spring onions, ginger, chili pepper power, seafood like shrimp and anchovies, and garlic are the usual items that must be prepared. The enjoyable part of gimjang is the point when everyone is just involved in every step of the process, from harvesting to slicing other ingredients. It is a collective effort! Families who will take part in gimjang will usually harvest around thirty cabbages, wash them, and put all of them in a saline solution so that the cabbages will lose their crispiness. The rest of the ingredients will be chopped and sliced, particularly the mustard leaves and spring onions. Seasoning will also be added to further enhance the flavor. 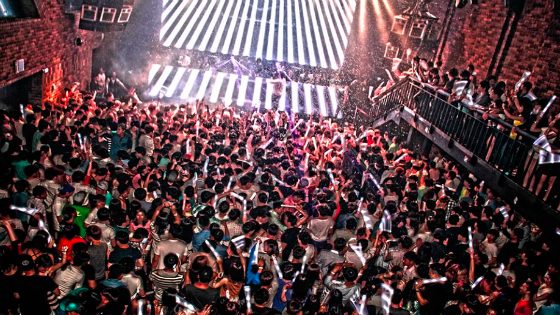 There are various opportunities to participate in gimjang, most especially when you’re in Korea. We recommend that you participate in one and then you let us know how your experience went! Korean BBQ Online is ready to deliver fresh and delicious kimchi straight to your doorstep. Contact us today so we can serve you today! If you have already been to Korea, then you must have already seen some locals donning very colorful and visually appealing costumes. Chances are you might have already observed the hanbok tradition in action. Hanbok is Korea’s traditional outfit and is often worn to celebrate special moments such as birthday parties, festivals and anniversaries. For instance, children celebrate their first birthdays wearing hanbok. Couples who get married also wear one, and also those who just turned 60. Even those who attend funerals to pay tribute to their loved ones who passed away also wear hanbok. Hanbok is indeed a big part of Koreans’ biggest life milestones. But did you know that back in the day, hanbok is actually worn daily? This explains why in some Korean provinces and villages, hanbok is even worn as a casual wear. Traditional Koreans are usually seen wearing white hanbok or those with lighter tones. 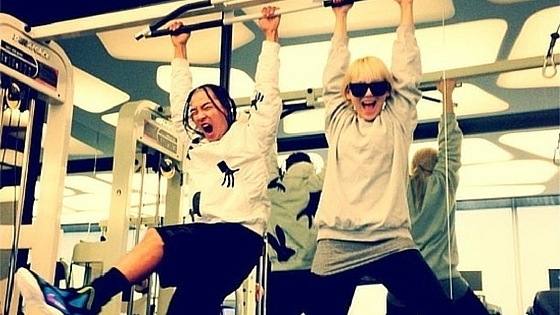 This explains why many people refer to Koreans as “people in white”. However, modern versions of hanbok can now be seen in various colors. In fact, the variety of colors that is present on a hanbok somehow symbolizes one’s social status. Usually, the brighter and more colorful hanbok is, the richer the person who is wearing it is. Now you can see more ultra-chic types of hanbok in the global fashion scene. Koreans always have a strong connection with nature, so this explains why a lot of their traditional clothing are made out of natural materials such as silk and cotton. Designers of hanbok often favored curvy lines rather than straight ones on hanbok so that the body’s line will be more graciously emphasized. This is the reason why so many people are saying that hanbok looks so much better when it is worn by someone than when it is just left on a hanger. What are your impressions of hanbok? Don’t hesitate to post some of your thoughts on the comments section below. 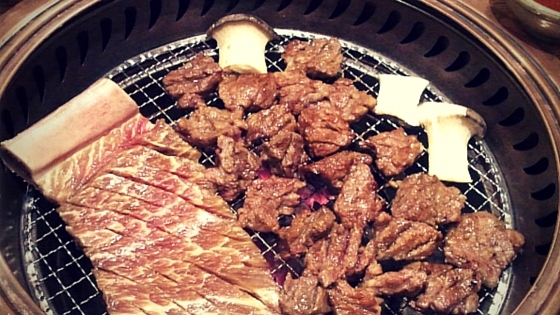 Bring an authentic taste of Korean cuisine to your home by hosting your own Korean BBQ party! Korean BBQ Online delivers fun, simple and amazingly tasty Korean BBQ just for you. Today we are going to feature pojangmacha, one of the iconic symbols of Korea’s undying love for food. It’s almost impossible for anyone to not see a pojangmacha in Korea for they are everywhere. Or perhaps you’ve seen some of them already in those Korean movies that you barely understood. Let’s get down to its basics, shall we? 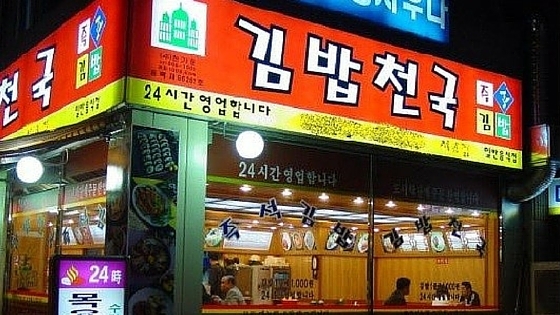 Pojangmacha, or more popularly known as pocha, are outdoor tents that are commonly found along Korean streets and night markets that are set up to accommodate street food and drinking patrons. This Korean term, when translated to English, means covered wagons. Technically speaking, pochas are small eateries that sell a diverse range of Korean street food like kimbap, spicy race cakes, fried rice cake skewers, ice-cream filled waffles, tornado potatoes, and a whole lot more. 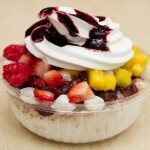 The characteristics of a pocha almost resemble that of an American food truck if you would like a point of comparison. There are two types of pocha: those that are set up during the daytime where most of the items being sold are snacks and those that are set up during the evening when most of the drinking sessions happen. The evening pochas are the perfect places to observe how the Koreans down their sojus and makollis, and also to join them for some chill drinking session with some savoury drinking snacks (anjus) on the side. Most of these evening pochas start appearing like mushrooms all throughout the city at around 8 PM or so and would remain in operation even until the wee hours of the morning. How did the pojangmacha phenomenon start? Pochas only started appearing in Korea after the country achieved its independence from Japan back in 1945. The set up of pochas back then was very simple – they are just small eateries by the roadside that serve cheap yet filling meals to ordinary workers. Pochas back in the day didn’t have chairs for their patrons because these small eateries were meant to be quick food stops. The owners of these roadside eateries eventually added chairs upon realizing that more and more people preferred to hang out at these eateries longer given the conversations that would usually happen among the patrons. 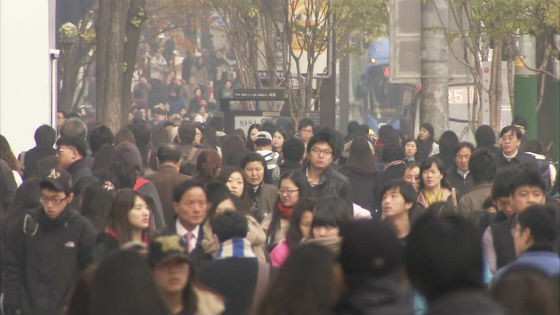 The 1970s saw Korea experiencing a significant economic development, and this period provided the perfect time for pochas to exponentially flourish. The reason for pochas’ increased presence is to meet the demand for cheap yet tasty food, which generally came from the increasing number of workers from various corporations and companies. Pochas just became one of the chillest hang-out spots for a majority of Koreans after going through a long day’s worth of work. There are over 4,000 pochas scattered all throughout Seoul alone. 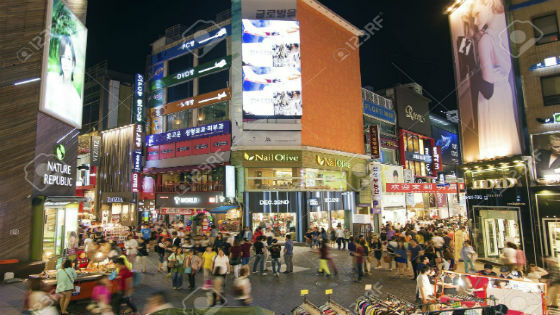 The visibility of pochas throughout the city is widespread considering that the Korean government continues to exert efforts to shut them down because of food and city cleanliness issues. Some of the owners of these pochas also don’t have legal permits to operate. But despite the crackdown efforts and discouraging measures being employed by the Korean government, a lot of locals and foreigners still consider pochas as a colorful part of Korean culture. As many people would say, you haven’t really experienced authentic Korean living until you’ve eaten under one of those colorful outdoor tents. Have you ever experienced eating pojangmacha food? 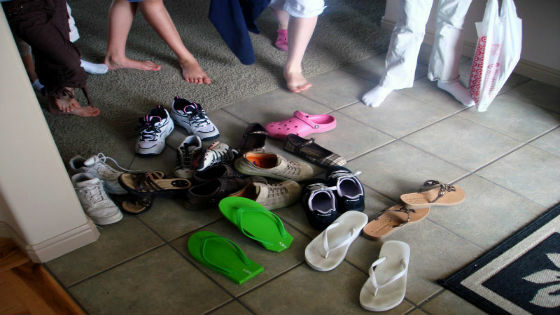 Tell us all about your experiences! 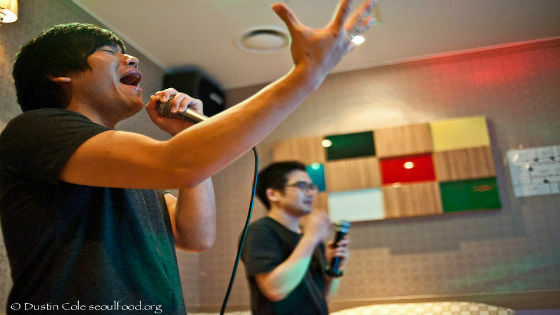 Meanwhile, if you are craving for some Korean BBQ, then let Korean BBQ Online serve you today. Just order your favourite Korean BBQ meats online and we’ll deliver them to you. Looking forward to hearing from you soon! 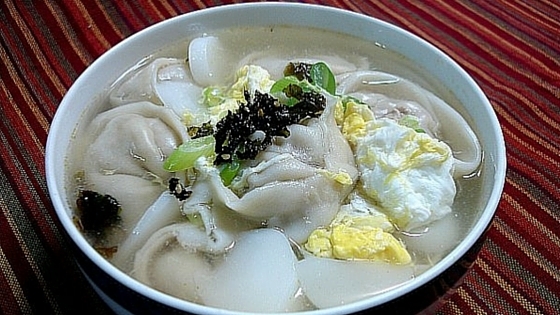 Tteokguk (tteok means rice cake; guk means soup) is a traditional dish served during the New Year that all Koreans know. This soup with slices of rice cakes is served in beef broth and is made with garaetteok, a long, cylindrical and unsweetened variety of rice cake that is eventually cut into oval shapes. Koreans believe that the oval-shaped rice cake will bring prosperity to everyone during the New Year and that eating it means that people would have grown a year older and wiser. Jeon refers to any battered food that has been pan-fried in Korean cuisine. There are usually two types of jeon: the first are those that are shaped like a pancake where the main ingredients are all mixed together in a flour mixture and then fried to make everything crisp. The other type involves pan-frying each of the ingredients such as vegetables, fish, mushrooms, and shrimp, among others, to enhance the flavour and tenderness of the overall dish. 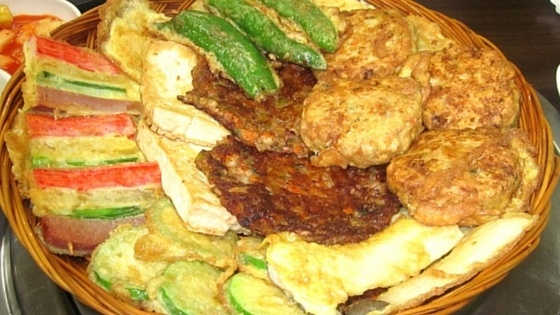 A combination of these ingredients is what is referred to as modumjeon. 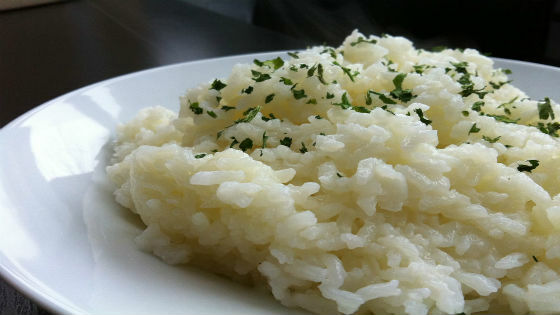 Another irresistible dish that you can cook to welcome the New Year is galbijim. 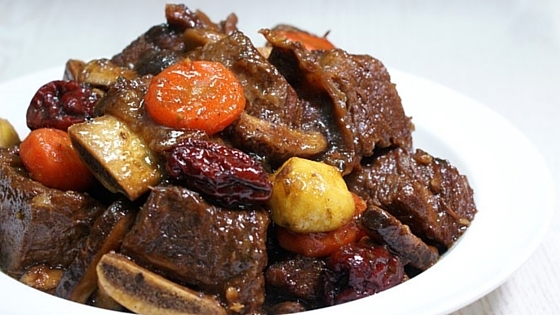 The meat or ribs for this dish are not seared before being braised. The ribs are parboiled to remove the excess blood and fat; ingredients such pine nuts, chest nuts, or basically any nut that you prefer can be added for extra taste and garnishing. 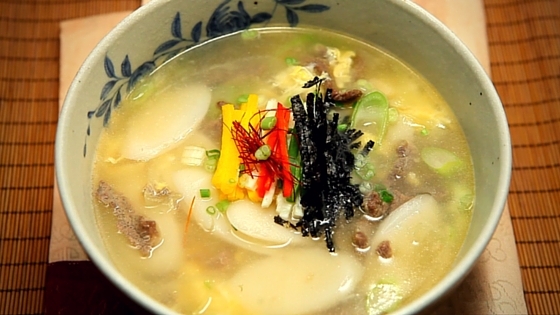 This is a traditional version of tteokguk where dumplings are put in the beef broth instead of rice cake slices. This dish originated from North Korea and became a staple when the lands remained arid and unsuitable to grow rice and other crops. This is another flavourful dish because the savoury dumplings and warm broth complement well to provide a simple yet tasty hint of sweetness and saltiness. 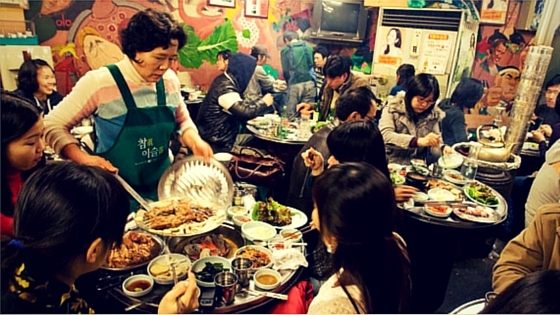 Do you know of any other dishes that Koreans serve when celebrating the Lunar New Year? We would love to know them all through the comments section below. Also, it’s never too late to contact us at Korean BBQ Online so we can assist you in preparing for the most delicious and memorable New Year’s Eve celebration ever! 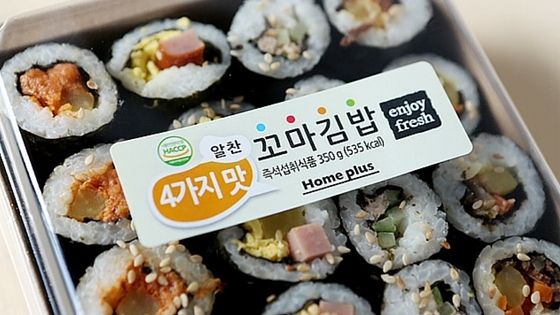 Think of kimbap restaurant as Korea’s version of American fast food. The food served here are generally cheap and not really that bad when it comes to taste and quality. Feel free to feed yourself with affordable ramyeon noodles, bibimbap, dumplings, meat stews, and a whole lot more for a price that usually won’t exceed 6,000 won. Nothing can instantly fill your stomach more than a good slice of pizza, but pizza shop giants like Pizza Hut and Domino’s have quite pricey pizzas in South Korea. 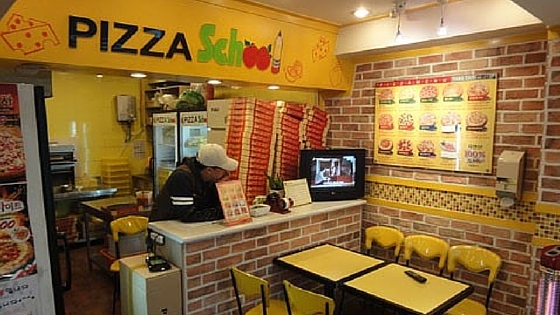 But pizza lovers should not fret as smaller pizza shops like Pizza School sell whole pies for less than 6,000 won. Not only do these pizza pies come in different flavors, they can also feed approximately 3-4 people. 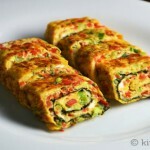 If you are craving for a quick sushi fix, then going to supermarkets like Home Plus or E-Mart will be your best bet. These establishments sell a diverse variety of ready-to-eat sushi that sell for less than 600 won per piece. With a per piece rate this cheap, feel free to buy more than 10 pieces for a filling lunch or dinner! 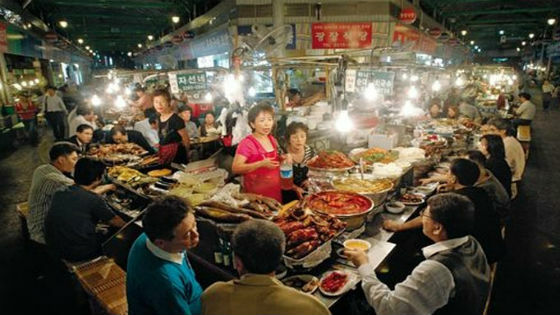 Another way to get immersed into Korean culture without breaking the bank is to try the delicious Korean street food or bunshik. Food trucks selling cheap food can be found almost anywhere in South Korea. 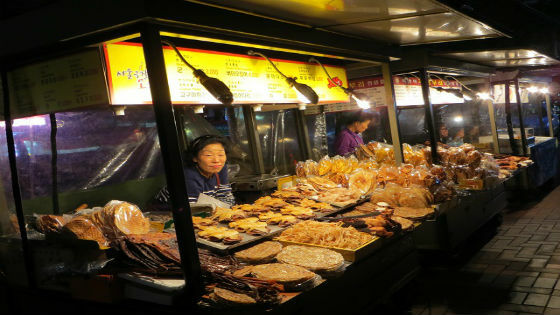 Examples of must-try bunshiks are the twigim (fried treats), rice cakes, fish cakes and a lot more. And these savoury street food items generally cost only 5,500 won or even less, which is just perfect for people who have limited budget but still want to be adventurous when it comes to eating. Always be on the look out for supermarkets and other food establishments that actually sell lunch box sets to people who are always on the go. 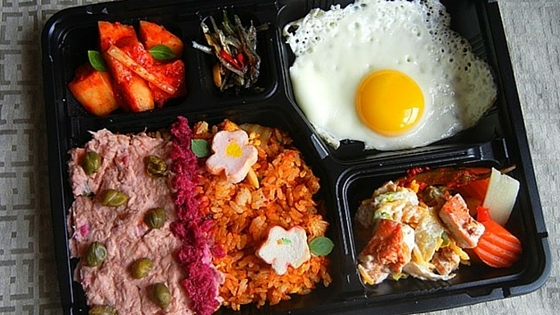 An example of these places is Hansot Doshirak where most lunch box sets sell for less than 6,000 won. For this set you already usually have an egg, a rice dish and two tasty sides. This is not too bad at all! 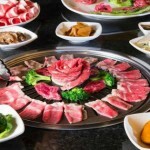 We at Korean BBQ Online would like to know more about your suggestions on where budget travelers can eat affordable meals in Korea. Please share them all in the comments section below! What makes Korean food Korean? 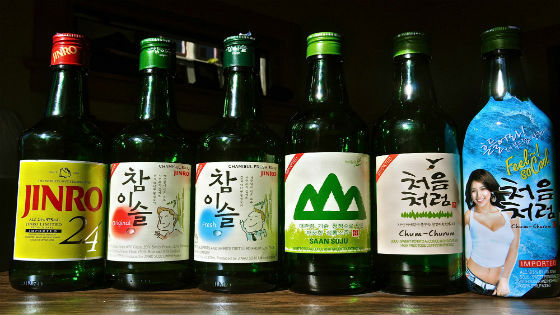 Koreans know their spice, and man do they use it so well. Vinegar, wine, garlic, sesame, ginger, bean paste, peppers, soy sauce, you name it. 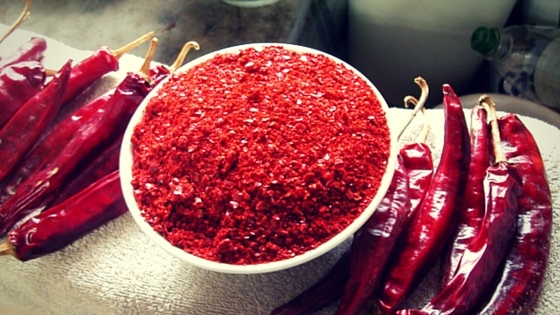 Koreans will never back down in intensifying their food’s flavors using a variety of spices. Oh the sensory feast! It’s almost impossible to enjoy a typical Korean meal without a side dish, and honestly, these side dishes are actually already very tasty on their own. From the most popular Korean side dish of all time, kimchi, to the equally common ones like shrimps, fish, cabbage, lettuce, steamed veggies, and beef, ah, your meal is just bound for awesomeness. Make those delectable side dishes by checking out what we offer! Of course! This is why we all love Korean BBQ! We are all too familiar with the cuts, the marinades, and the dipping sauces. And how can we forget that distinct flavor and tenderness that only Korean BBQ meats can deliver? Check out our offering of marinated and non-marinated meats AND wagyus today! 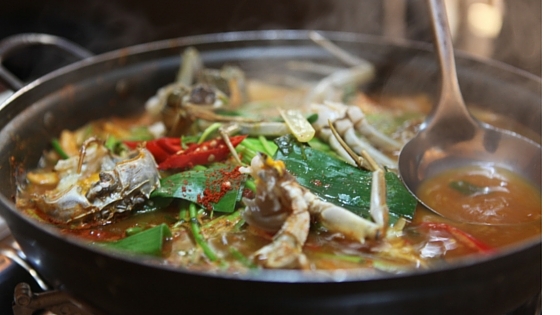 Koreans love their soups that are just packed with flavor. Regardless of whether you prefer having a hot and spicy soup to feel warm during the cold weather or just a simple vegetable and beef broth on a normal, sunny day, there are always a Korean soup that will suit your preferences and tastes. 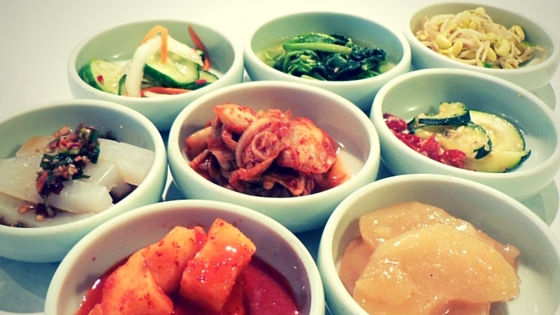 Korean dishes are known for how healthily balanced they are. 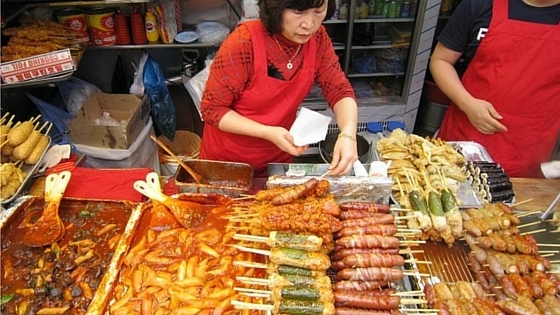 Yes, you have the meats, but Koreans don’t forget their vegetables and grains on the side. It’s very common for Koreans to wrap their meats using vegetable leaves for eating or to devour veggie-based side dishes to complement their meat-heavy feasts. Regardless of how much Korean cuisine has grown and evolved, this healthily balanced concept of Korean food has always remained. 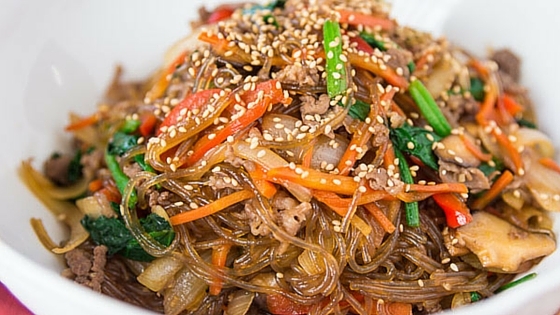 Feel free to comment below on any characteristic of Korean food that we’ve missed! And don’t forget to check out our Korean BBQ Online menu so you can bring that awesome Korean dishy goodness conveniently to your home.